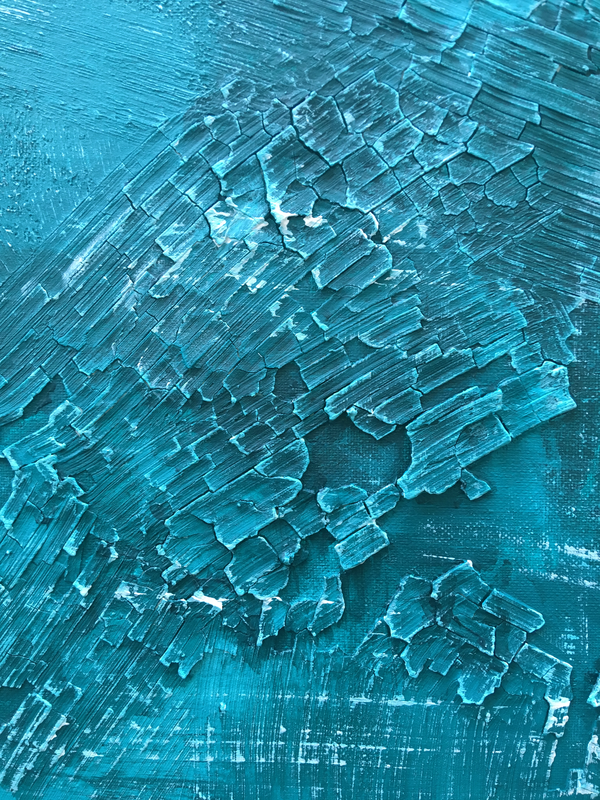 Aquaria is a blue and turquoise abstract painting using acrylic paints over a partially covered canvas and a cracked clay surface. I love using the blue and green spectrum in my paintings, especially when combined with clay or plaster to create a textured surface. I was inspired by water and the horoscopes when I was creating this painting. This beautiful painting creates a brilliant focal point when hung on the wall or placed on a side table as pictured. For your own Aquaria inspired painting, contact me via my 'Paint Me Something!' page.